As a principal analyst at Forrester Research, Scott Santucci has deep knowledge and hands-on experience working cross-functionally with product, marketing, and sales teams to develop innovative and effective integrated programs designed to improve the entire revenue cycle. Closing the Divide between Sellers and Executive-Level Buyers – A PLEA! Is Your Sales Force Really That Dumb… or Are They Just Misundersood? 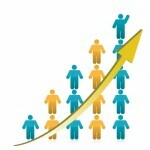 Sales Enablement or the Rise of C-Rate Consultants?